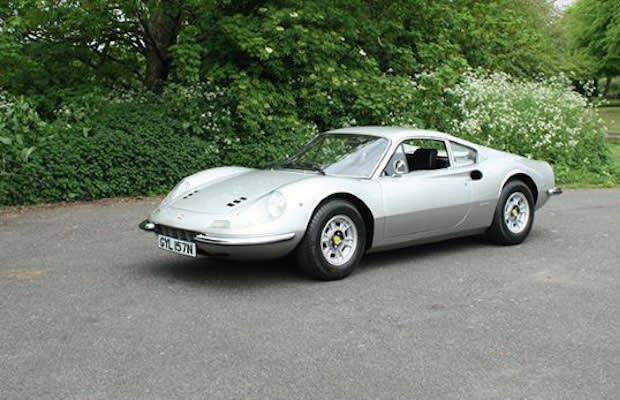 Even if this Ferrari Dino 264GT wasn&apos;t owned by a rock and roll legend, it would still be a gem. But the fact that it once belonged to Keith Richards means it will go for buku bucks in the Coys&apos; Monaco auction May 9. The 1972 &apos;Rari was brought brand new by The Rolling Stones guitarist. He kept it until 1986, and then the Dino went into the hands of a "prestigious" collector and spent time in Japan. Now it&apos;s going up for auction without reserve, which is rare for a Dino. Whoever wins it will have a beautiful car with an even more impressive history.